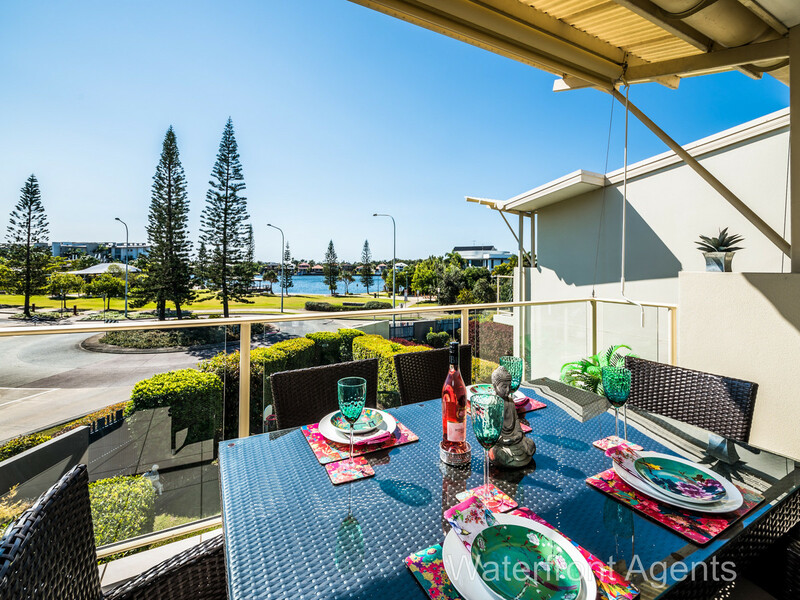 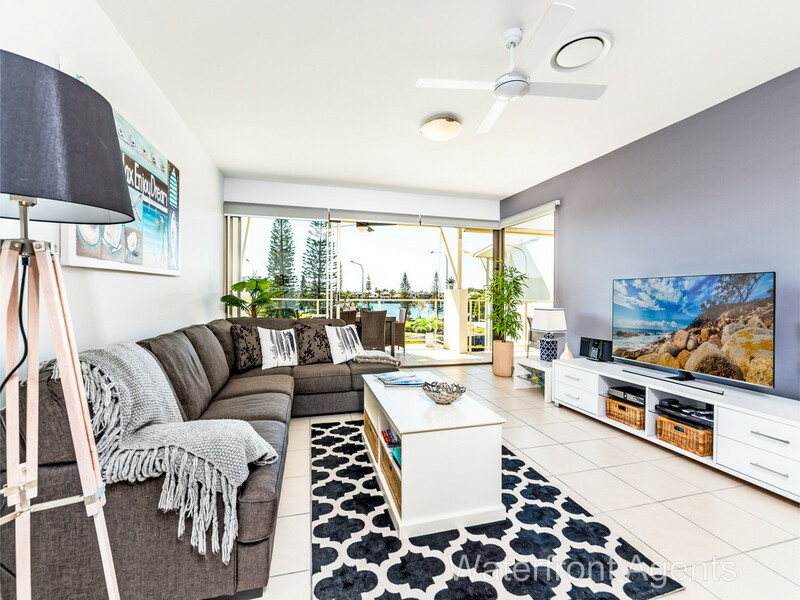 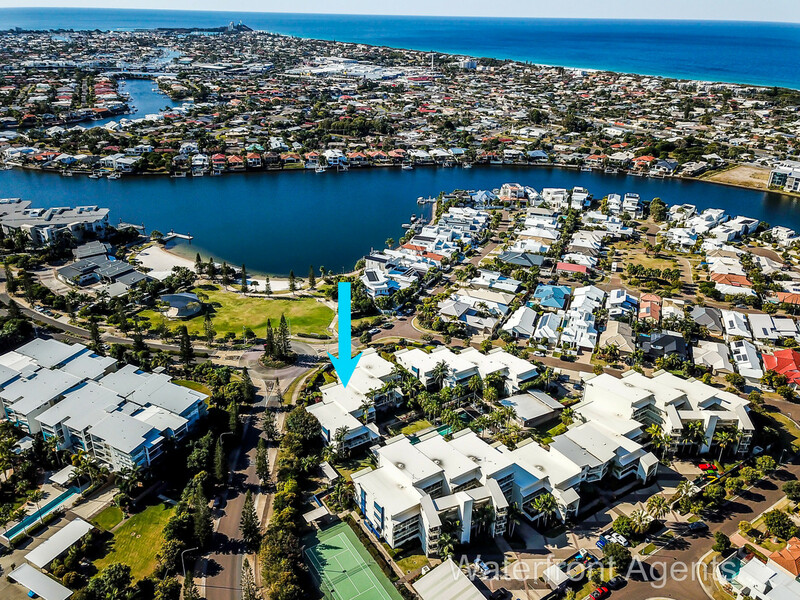 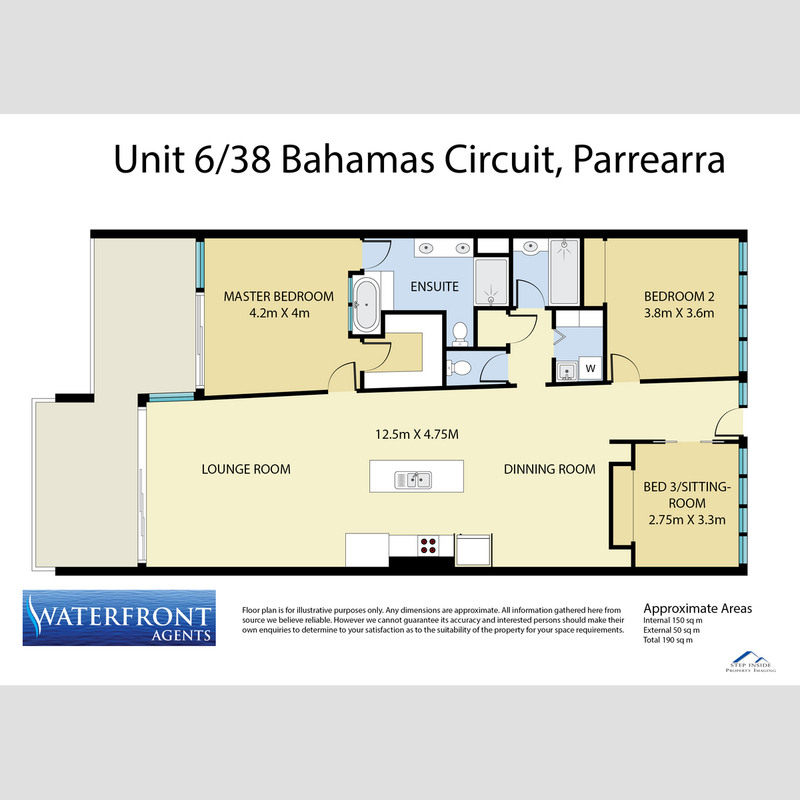 This spacious 183m2 north facing Kawana Island apartment situated at 6/38 Bahamas Circuit in the highly sought-after “Leeward” complex overlooking Double Bay beach and parklands, could be the one you’ve been waiting for. 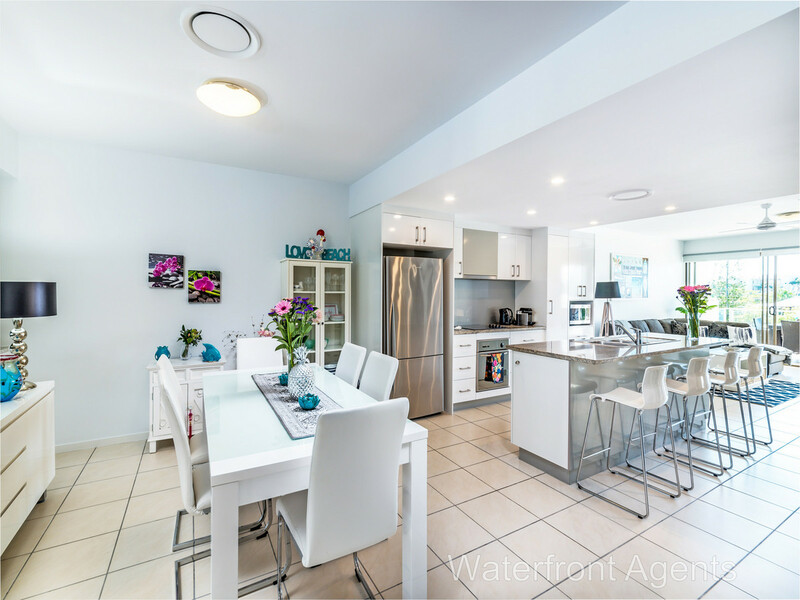 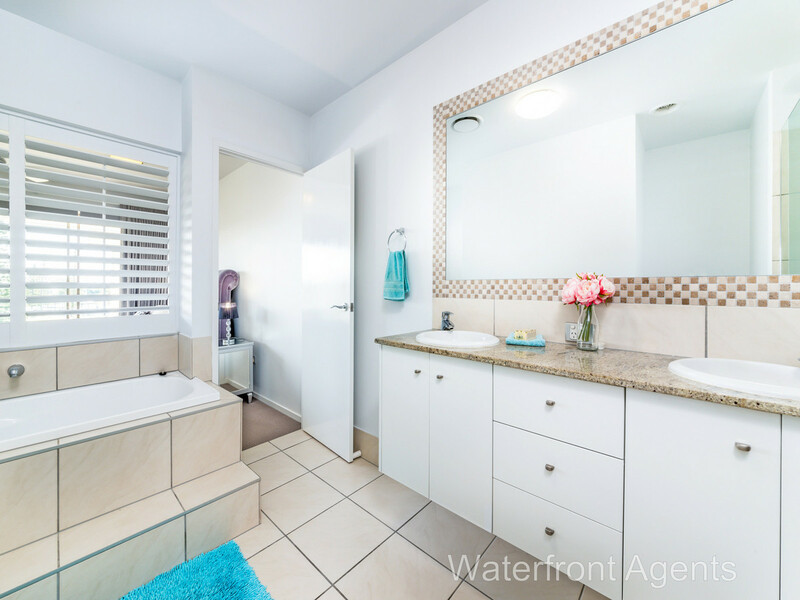 You’ll be impressed by the simple elegance of this immaculate apartment that features an open plan layout offering glorious unobstructed water views, space, style and functionality. 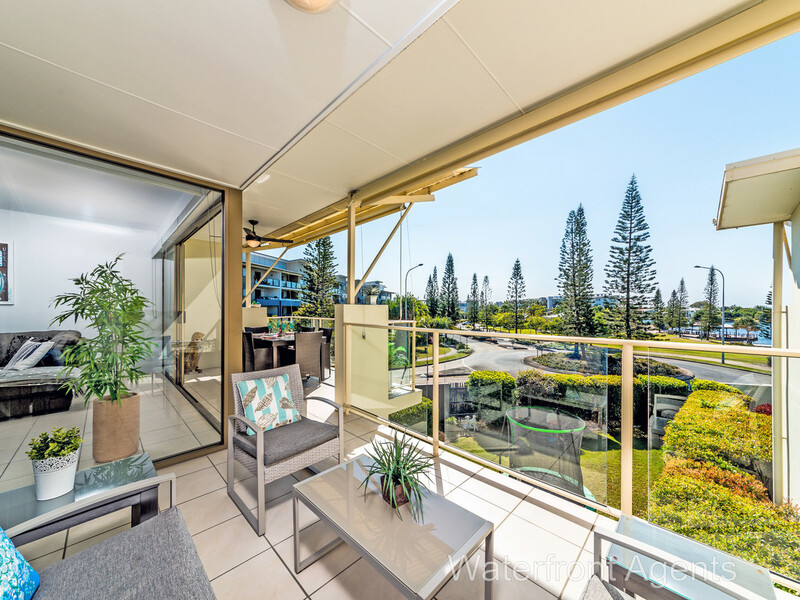 Light-filled interiors are complemented by three bedrooms, the master features a walk-in robe, ensuite with dual vanities, shower, and a spa bath, and a balcony with a sitting area to relax with a morning coffee and take in the water views. 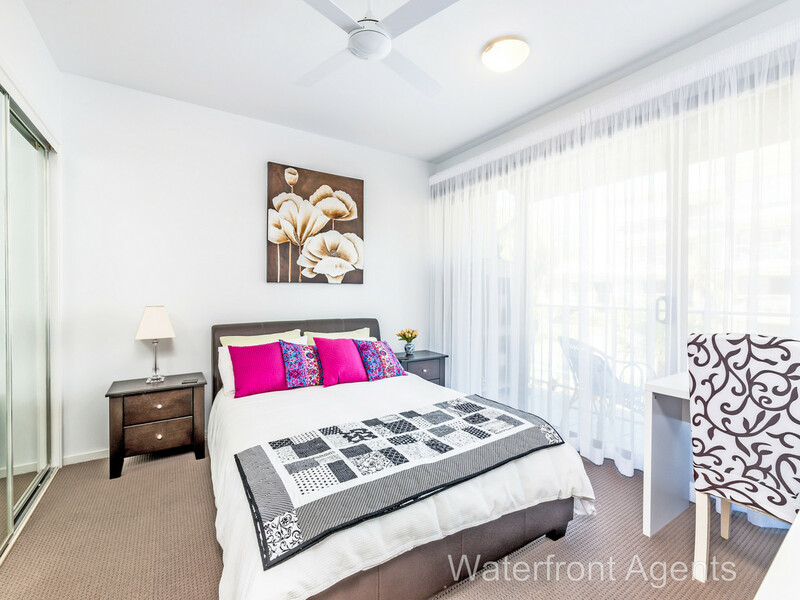 The two further large bedrooms both have built-in robes. This outstanding apartment includes large sliding doors opening to a substantial balcony off the generous living area, overlooking the parkland, white sandy beach and waterway. 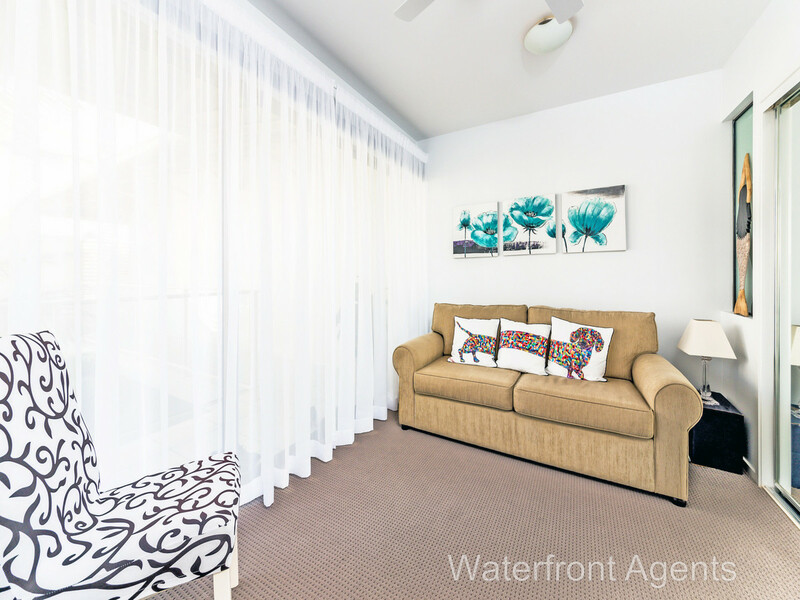 You’re sure to spend a lot of time relaxing here enjoying the ever-changing view and cooling breezes. It’s a great spot to wind down in the early evening with a refreshing drink in hand. 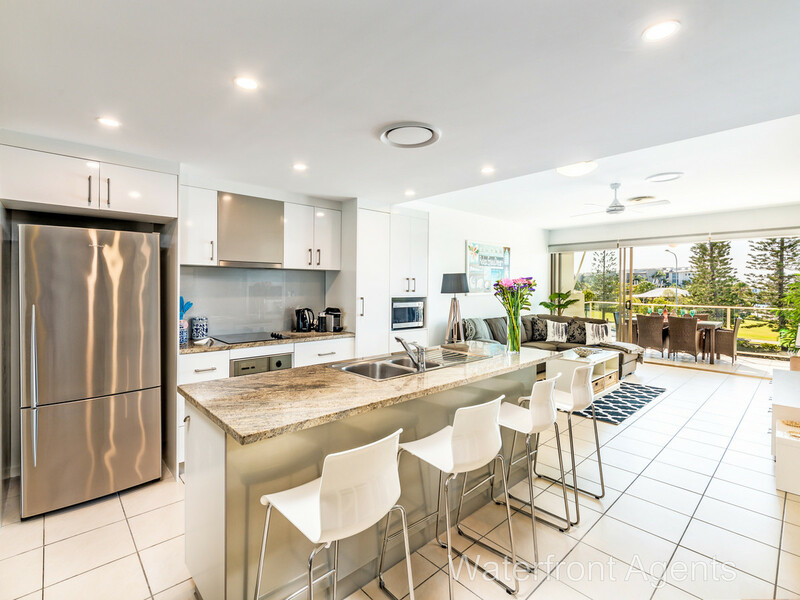 There is plenty of room to entertain with a separate dining area, a centrally located kitchen of generous proportion with granite benchtops, quality appliances, ample cupboard space and breakfast bar. 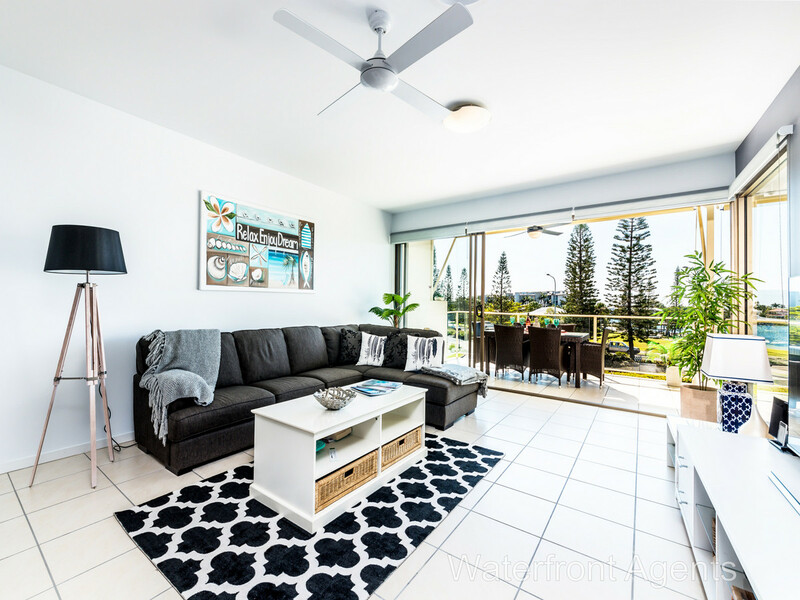 Other features include a private entrance, quality floor and window furnishings including outdoor blinds, reverse cycle ducted air conditioning and fans throughout. 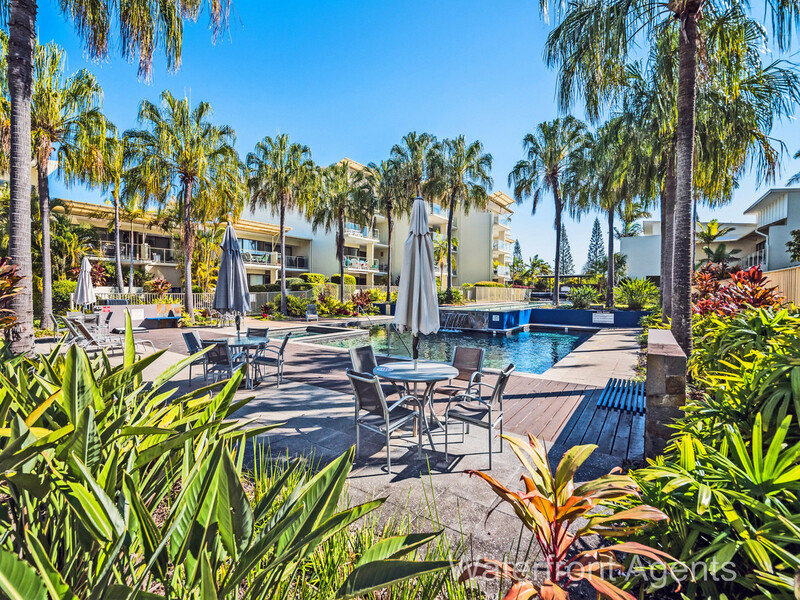 Located in the centre of the island, the complex provides first-class resort-style facilities including a heated lap pool, spa, sauna, gym, book club, tennis court, storage bay for bicycles and other toys with beautifully maintained and landscaped gardens. 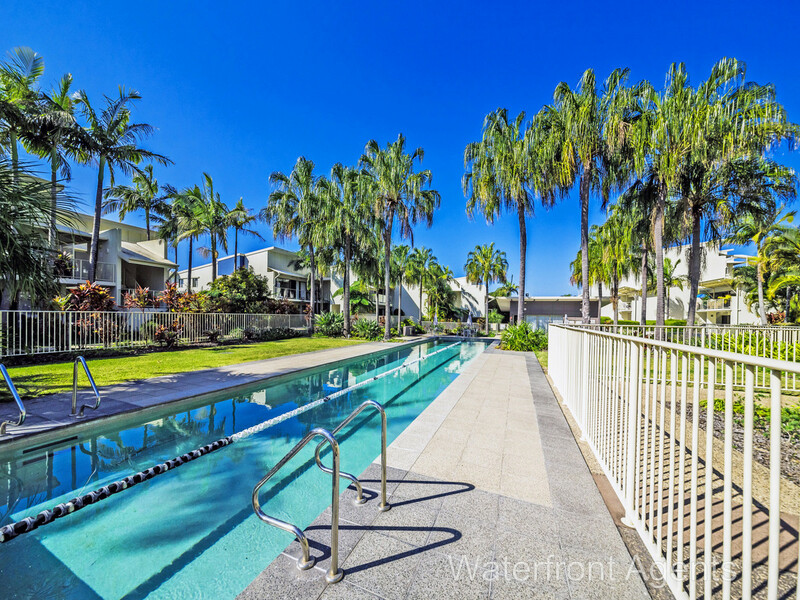 Best of all, you’ll feel like you’re on holidays everyday living here surrounded by open spaces, local restaurants, convenience store, and a fantastic walking track that winds around the Parrearra canal. 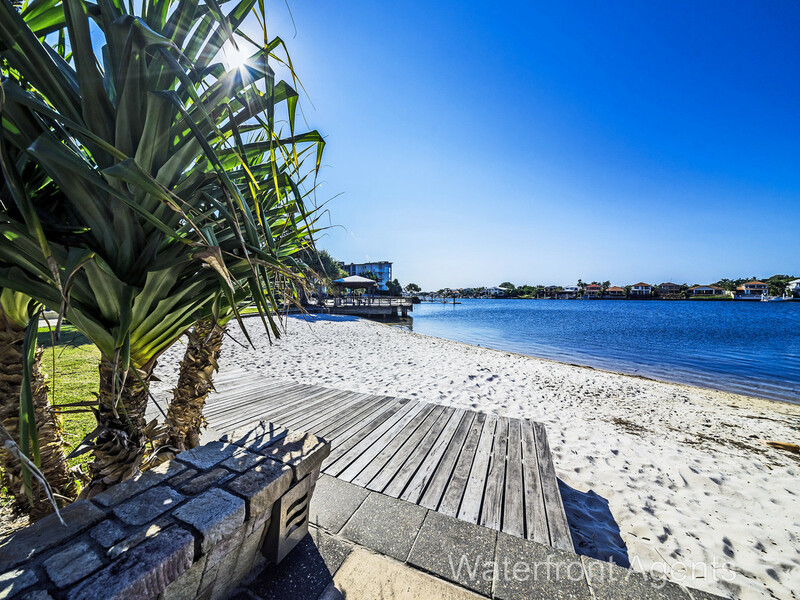 Local pristine beaches are also close by. 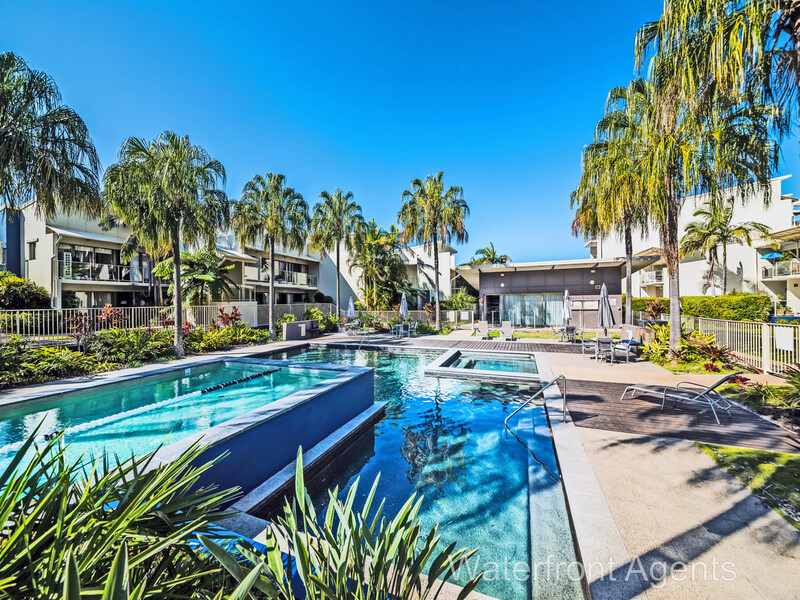 All of this, just a short drive to the new Sunshine Coast University Hospital Precinct and only an hour’s drive to Brisbane’s International Airport. 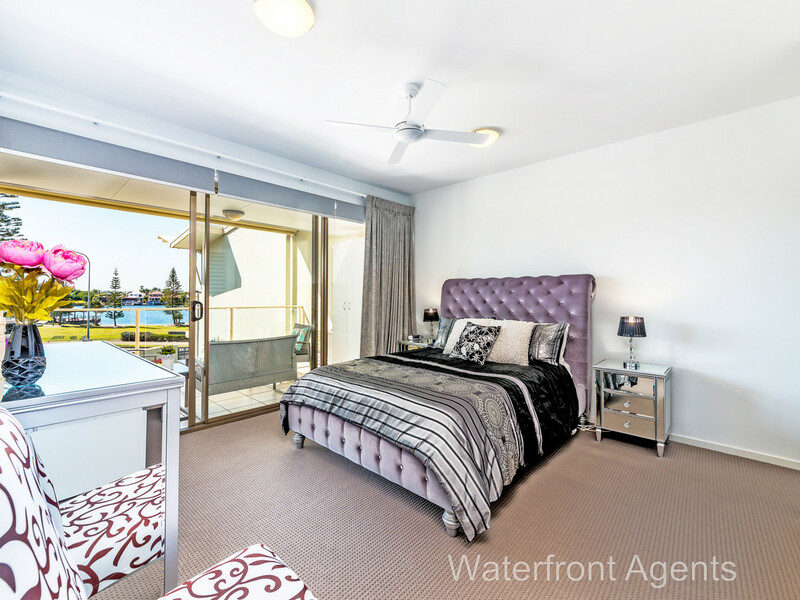 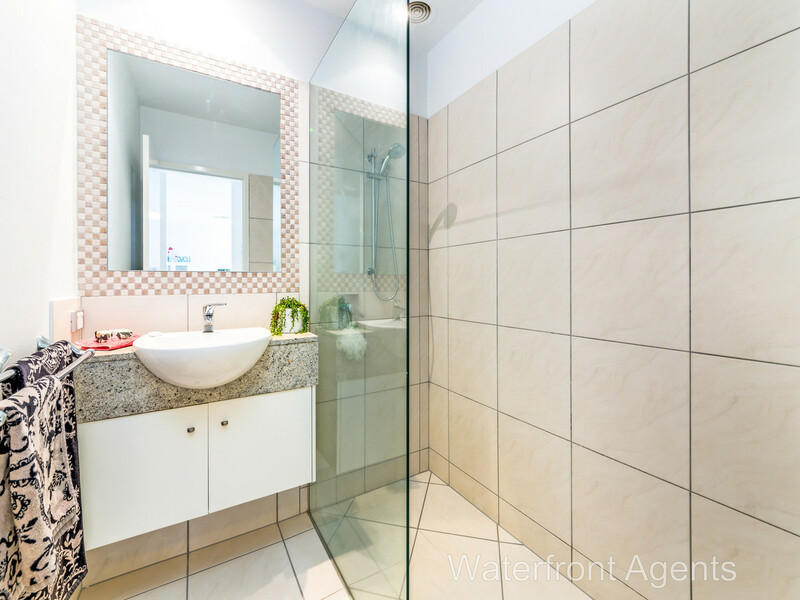 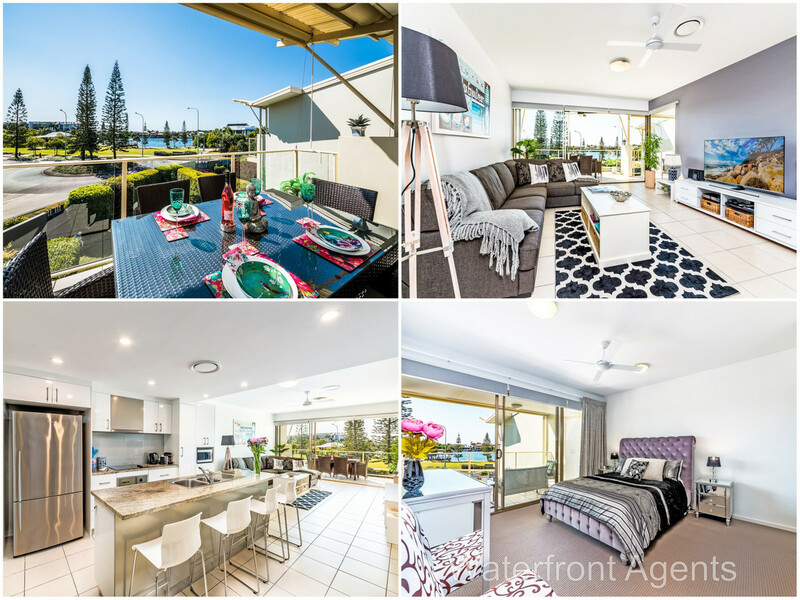 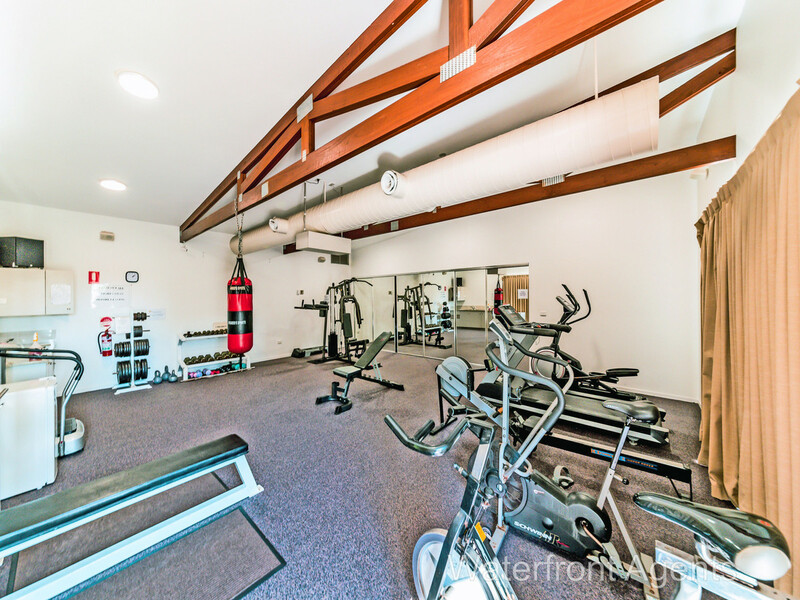 Call Trevor on 0400 818 777 to arrange a private viewing of this lifestyle waterfront apartment.